Facebook held an internal emergency meeting to discuss the unfolding Cambridge Analytica data leak scandal, according to The Verge. However, Facebook CEO Mark Zuckerberg wasn’t at the meeting, according to the Daily Beast. Facebook has been rocked since Friday’s revelation that Trump-linked British data company Cambridge Analytica had obtained as many as 50 million Facebook profiles by abusing Facebook’s data sharing features. The stock has plummeted more than 9% since then, but CEO Mark Zuckerberg has not addressed the public about the scandal – or even Facebook employees, according to a report in the Verge. Facebook held an “open meeting” on Tuesday morning, according to the Daily Beast, the first time that Facebook employees have been able to ask questions of their bosses about the issues in a live setting. But neither Zuckerberg nor COO Sheryl Sandberg were there, according to the Daily Beast report. The meeting was led by Paul Grewal, the Facebook lawyer who signed the initial announcement about Cambridge Analytica’s abuse. Facebook employees are wondering why they haven’t heard from Zuckerberg, according to the Verge report, but they may get their chance on Friday, where he’s expected to speak at an internal all-hands meeting. Facebook didn’t respond to a request for more information. But the scandal continues to move quickly, with the Federal Trade Commission said to be investigating the data leak, and Zuckerberg may need to take control of the situation enveloping his company before it spins even more out of control. 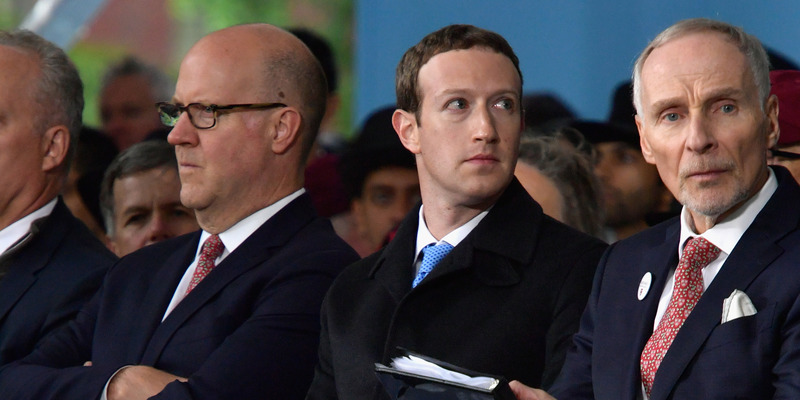 Here’s everything you need to know about the scandal and head to BI Prime to learn about how Zuckerberg’s iron grip on Facebook is affecting this situation.